HubSpot founders Brian Halligan and Dharmesh Shah have introduced new tools that will take HubSpot from a most-in-one platform to an all-in-one platform businesses can take advantage of. This year, they are redefining inbound marketing and driving new services and revenue opportunities for partners all over the globe. This is what takes HubSpot from a most-in-one solution to an all-in-one solution. Customers are not only active online, they are engaging with many different parts of a company on a constant basis. 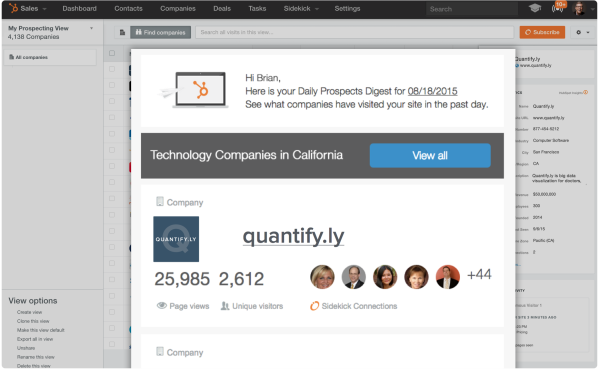 HubSpot connect integrates all data from all departments into one platform. You’ll be able to combine HubSpot with the tools your company uses every day, including HelloSign, AdWords, Shopify, GoToWebinar, FreshBooks, Eventbrite, SlideShare, Zendesk, and the list goes on. Custom lead scoring is a useful tool to get a sense of who is a good lead and who might not be ready for a sale. Figuring out how to allocate points can be hard; which offers are more important than others? This new feature brings more value to companies that struggle with custom lead scoring. HubSpot’s algorithm rakes through contacts and provides an automatic score on their likeliness to become a customer. You’ll also get suggestions with what to do next. Is the lead ready for a sale? Does he or she need more nurturing? Do they need more time before you reach out? You’ll know it all. No more guessing. In order to take advantage of this resource, the company must be enterprise-level. Ads are another add-on HubSpot is introducing this year. Within the add-on, you have the option to create a LinkedIn campaign. You then build your campaign within HubSpot by choosing content, setting a budget, and defining a target audience. Most ad tools show impressions and clicks. HubSpot shows you these metrics, how many conversions turned into marketing qualified leads, how many marketing qualified leads became customers, and even the dollar amount of revenue you generated from that campaign. The prospects tool has been completely rebuilt. You can build a view in Prospects, subscribe, and receive a daily digest of targeted companies to sell to. The improvements are part of Sidekick for Business, but are still available on the marketing end. You can also start creating connections through Sidekick Connections. Mutual connections appear in the sidebar so that you can connect your network and the companies you are selling to. Highly targeted nurturing of prospects is made easy through Sequences. You now have the option of enrolling a prospect in a sequence of template emails. This helps you maintain a relationship with a prospect who quite ready to purchase. Leadin is a free CRM and lead tracking plugin that helps convert visitors into leads. This inbound marketing plugin is great for bloggers and small businesses looking to gain more knowledge about who’s visiting their website and why. The big news is that Leadin now works with all websites: WordPress, Joomla, even Drupal. You heard it right. No matter what CMS you’re working with, Leadin will integrate. This gives partners the opportunity to work with smaller clients and introduce inbound marketing on a smaller scale. The realm of customers using HubSpot has drastically widened since the company was formed in 2006. There are now 15,000 customers using the software in 90 countries. Hubspot is honing in on international features, introducing five new languages this year: Spanish, German, Portuguese, French, and Japanese. New editing screens will be released for all content tools, including site pages, landing pages, blogs, and email. Live previews will be offered as you’re typing so you won’t have to navigate to different screens to see your changes. 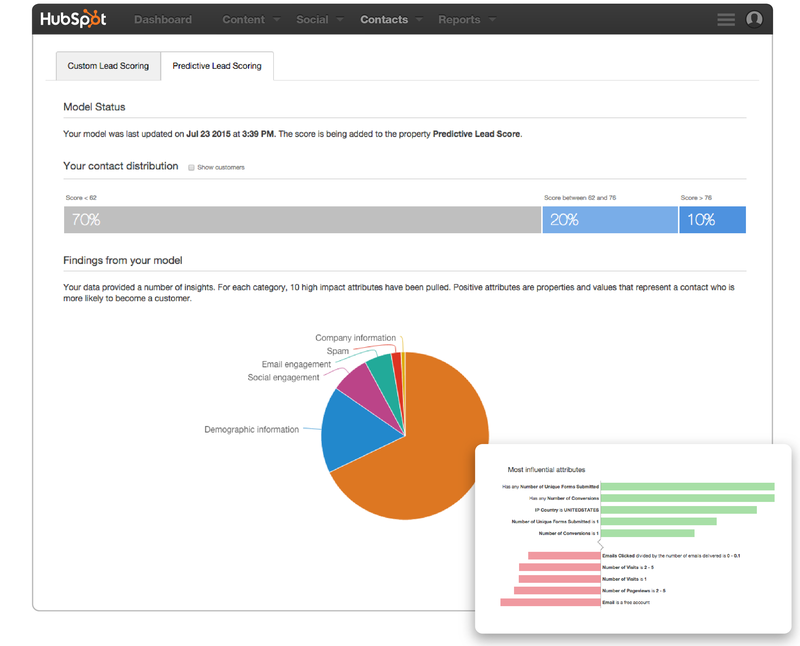 New dashboards have also been added across the HubSpot platform. This gives users better insights with an improved layout to visualize the results. Lists have been updated to load faster. 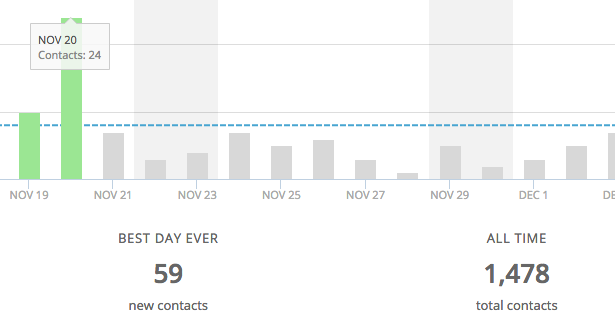 When adding new contacts or making changes to lists, you will now see a live preview. New screens make the editing process easier. Optimizers have been extended for all pages so that you can make sure every page is perfect. Preview is now available across all devices. A staging area has been created so that designers can build the website before going live. Pages can be automatically created in HubSpot. Every HubSpot website will have HubSpot SSL built into it as part of the core system. Getting a good view and pulling the right reports can prove to be a challenge. A new reporting add-on makes it easier by providing each user with one dashboard for all of their reports. There are around 20 base reports that you can automatically add to your dashboard with a single click. These reports can be used as a template if you want to customize it. There is also an option to build a report from scratch. This add-on is useful for companies using multiple analytics solutions in HubSpot. 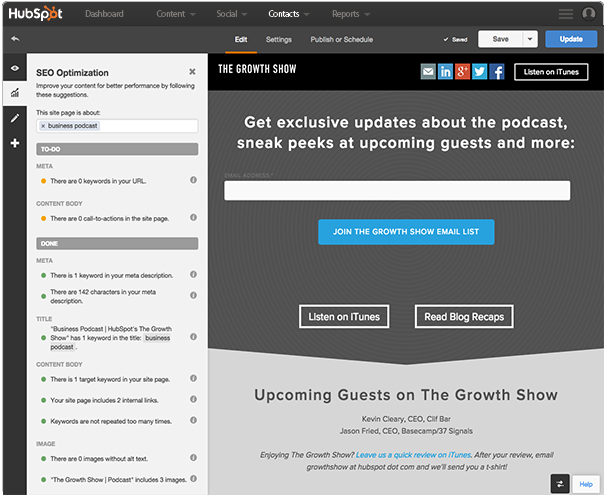 These are a few of the innovative, exciting resources HubSpot is releasing this year. These new tools take inbound marketing to the next level, making it easier than ever to reach customers, optimize your website, and track results.